If your ERP system isn’t doing its job as well as it could, your company could be losing thousands of dollars a day to inefficient workarounds and software delays – and the only way out may be to get a better system in place that really brings value to your operation. But the fact is that implementing an ERP platform is a complex process, and far too often, companies don’t plan the right way. In this guide, you’ll learn how to select the right ERP solution by zeroing in on what your problems are and how you can solve them. 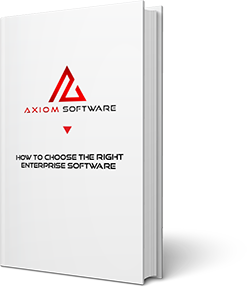 Download How to Choose the Right Enterprise Software today and bring real value to your company!